Each year, members of the House cast votes impacting almost every aspect of life: from public safety to education to the expenditure of billions of your taxpayer dollars. These votes occur in two-minute segments during which time the lawmaker must make up his mind: will he vote yes, or no? Over the past few days Oklahomans have been rightly alarmed by the late session, last minute tax increase attempts. This includes a tax increase proposal from House leaders to create a new tax on “services”. House Bill 3158 has now been signed into law by the Governor. Undoubtedly one of the most important proposals of this legislative session, it seeks to do away with any ambiguity regarding the Corporation Commission’s ability to enforce wastewater injection well cutback zones. As you read my article last week, I suspect you were rather horrified to realize the enormity of the Legislature’s mistake; they provided the scantest deliberation before approving Common Core standards. I am receiving numerous emails regarding the state’s recent action to adopt new English and math standards for common education. The writers are specifically concerned about the confusing circumstances surrounding House Joint Resolution 1070, a proposal to accept the latest iteration of Oklahoma’s common education standards. A lawmaker recently stopped by my office. We were elected in the same year and reflected on the performance of the numerous Speakers of the House who have served during our time as legislators. He had no problem sharing his honest point of view and his critique was mostly negative. Last week I wrote about the challenge lawmakers face as they sort through their thousands of emails and attempt to find correspondence from their constituents. It’s a task made all the more daunting by the recent practice employed by advocacy groups: emailing all legislators instead of just those who represent them. Please vote no! Thank you! “Please vote no! Thank you!” I stared at these five words, the only words in an email that someone had taken the time to send to every member of the House of Representatives. I just started laughing. It was a welcomed reprieve from a tense deadline week — two weeks ago. I took a pledge in 2006 to refuse personal gifts and campaign contributions from lobbyists and their employees. When I took that pledge, I knew it was the right thing for me to do, but I didn’t envision the various impacts of the pledge in the long term. As I write this article, state officials are responding to the seismic activity from two weeks ago. It appears that this effort will seek to cut back our area’s wastewater injection activity to “pre-seismicity” levels. It has been described as the state’s most comprehensive cutback plan to date. 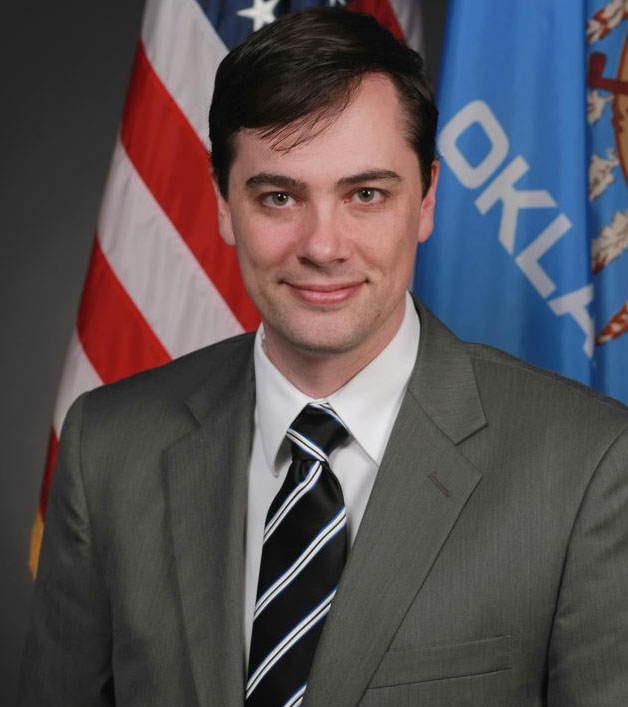 State Rep. Jason Murphey's (R-Guthrie) weekly column. It is now reasonable to forecast the following: fiscal year 2017 will become the first year in recent state history when the amount of state spending will be substantively reduced. It’s difficult to listen to the local news without experiencing a barrage of doom and gloom regarding state government’s ongoing budget malaise. Lost in this avalanche of negativity was a recent report from the US Census Bureau. Thank you to all of those who attended the Oklahoma Department of Transportation’s town hall and hearing at Waterloo Road Baptist church this past week. The high turnout sent a strong message to state officials about the importance of upgrading the area’s road infrastructure.